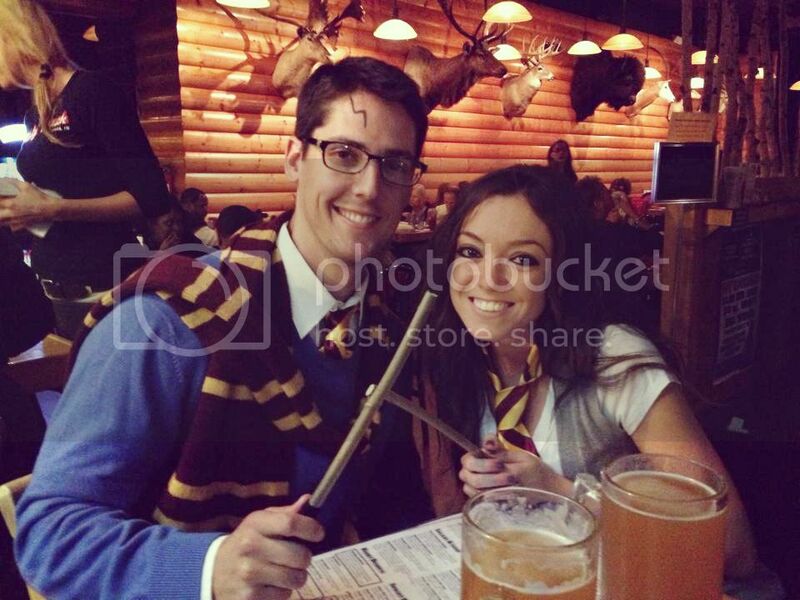 Happy Halloween from Harry and Hermione!! I'm hoping to get some more pictures tonight at Trunk or Treat!! Guys, we seriously went all out with our Harry Potter themed decorations. The best part? It's mostly all homemade, thrifted, or things we already had lying around. I hope it doesn't rain on us!! What are you being for Halloween this year? The costumes are perfect! Ya'll did a great job! I'm so glad the rain quit in time for trick or treating. Now, tomorrow at school.. I might not be so thankful! LOVE it! I have been Hermione for the past few years so this year I changed it up and was Risky Business. I love the costumes though!